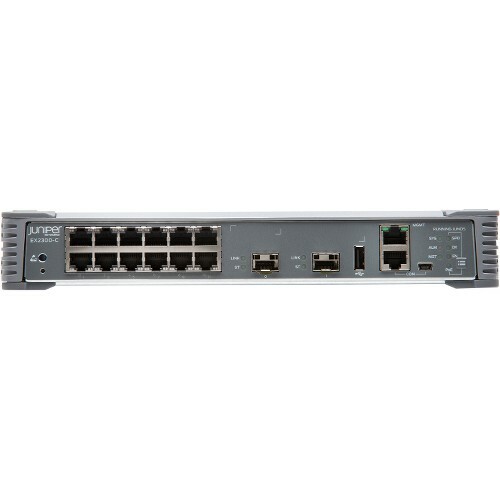 The Juniper Networks ® EX2300 line of Ethernet switches offers a compact, high-performance solution for supporting today’s converged network access deployments. Each EX2300 switch includes an ASIC-based Packet Forwarding Engine (PFE) with an integrated CPU to consistently deliver wire-rate forwarding, even with all control plane features enabled. 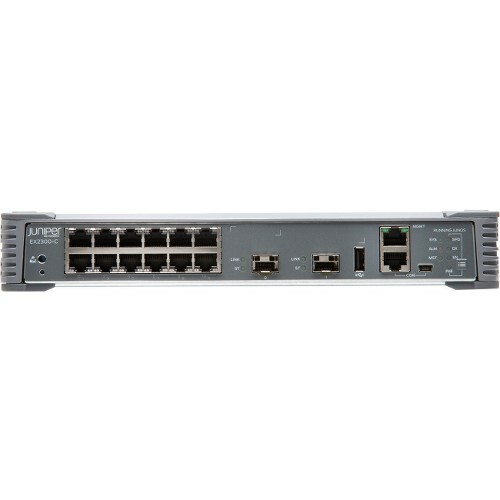 Based on existing, field-proven Juniper Networks technology, the PFE brings the same level of carrier-class performance and reliability to the EX2300 switches that Juniper Networks routers bring to the world’s largest service provider networks. Select EX2300 models also support the 802.3af Class 3 Power over Ethernet (PoE) and 802.3at PoE+ standards for supporting networked devices such as telephones, video cameras, IEEE 802.11ac WLAN access points, and videophones in converged networks. 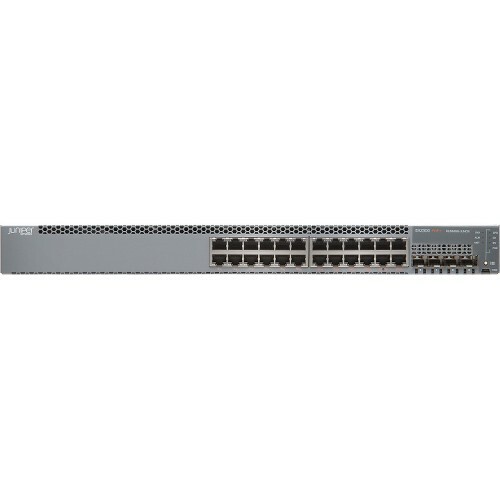 The PoE-enabled EX2300 switches include a maximum system budget of 740 watts to deliver up to 30 watts to select ports. up to 30 watts to select ports. 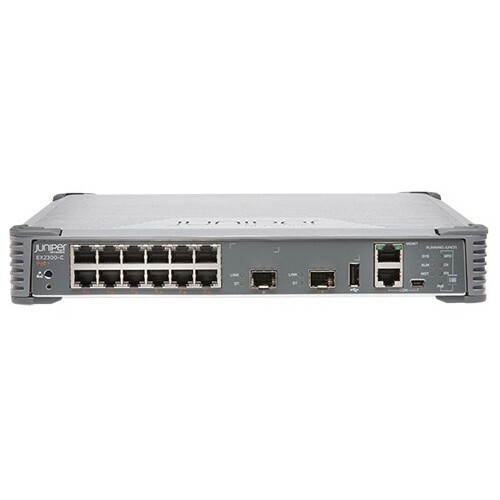 Juniper Networks Junos ® Fusion Enterprise allows more than 100 EX2300 switches to be configured as satellite devices that connect to EX9200 core aggregation devices. Virtual Chassis technology enables up to four interconnected EX2300 switches to form a single logical device. Flexible 4x1GbE SFP/10GbE SFP+ uplinks provide high-speed connectivity to aggregation layer switches or other upstream devices. 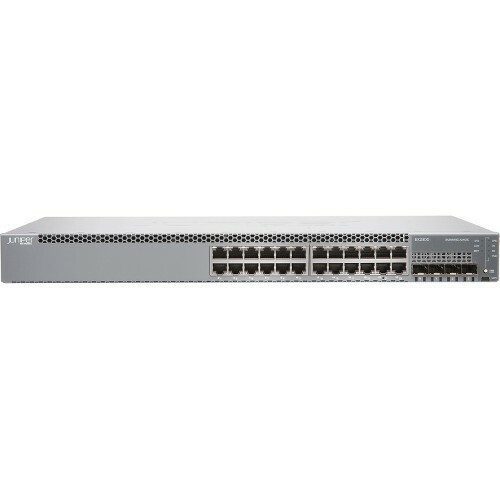 Up to 48 10/100/1000BASE-T ports are available with or without PoE/PoE+. Energy Efficient Ethernet (EEE) support is provided on 1GbE ports. Complete Layer 2 and basic Layer 3 switching capabilities are available. Simplified management uses Juniper Networks Junos Space Network Director and J-Web GUI. PoE-enabled EX2300 switches can simultaneously deliver up to 15.4 watts of standards-based 802.3af Class 3 PoE to a maximum of 48 ports or 30 watts of standards-based 802.3at PoE+ to a maximum of 24 ports, based on a total system budget of 740 watts. Uplink ports can be configured as Virtual Chassis interfaces and connected via standard 10GbE optics interfaces (optional license required). Fixed power supply and uplink ports ensure operational simplicity. Low power consumption, low acoustic fans, and a small 10-inch deep footprint enable flexible, environmentally friendly deployment. Support for L2 protocols as well as L3 protocols like RIP and static routing are included in the base license. An optional enhanced license is available for supporting additional L3 protocols such as OSPF, Internet Group Management Protocol (IGMP v1/v2/v3), Protocol Independent Multicast (PIM), Bidirectional Forwarding Detection (BFD), and Virtual Router Redundancy Protocol (VRRP). Support is available for IPv6 management, including neighbor discovery, telnet, SSH, DNS, system log, and NTP. A single release train for Juniper Networks Junos operating system is supported to ensure a consistent control plane feature implementation. The device integrates with Juniper Networks Unified Access Control to provide per-user access control and policing. Built-in Web interface (Juniper Networks J-Web Software) is provided. RJ-45 serial console port is available. USB mini console port is included. Out-of-band Ethernet management port is provided.